What compelled Joseph Oberhansley to affect one particularly grizzly murder after being winning parole? 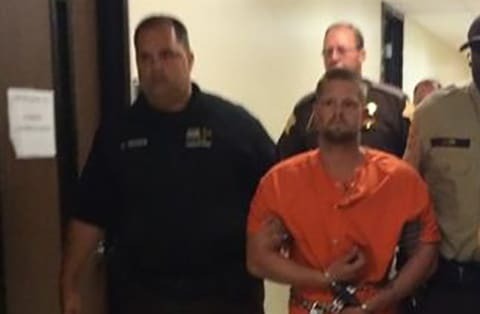 Joseph Oberhansley, 33, a convicted killer on parole has been arrested by Indiana police in connection to last week grizzly killing of Tammy Jo Blanton, a purported ex girlfriend who was stabbed to death in her Jeffersonville home. During that episode, our collective hero would admit to cops after killing the woman he proceeded to eat part of his victim’s brain, heart, and lungs. Blanton apparently called cops at 3 a.m. last Thursday to complain that Oberhansley was trying to get into her house. Police were dispatched to the scene and sent Oberhansley home. When they were called back to the house at 10 a.m., they found a less than charming scene. Appearing in court Monday afternoon, wlky reports that Joseph Oberhansley told Judge Vicki Carmichael his name was Zeus Brown and that he didn’t know whether he was a US citizen. He would tell the judge he didn’t understand the charges against him because his name is Zeus Brown. Reports further wlky: Court documents show that at 2:52 a.m. Thursday, Blanton called police to report Oberhansley was trying to get into her home. When police arrived and told Oberhansley to leave and he did, according to the documents. The probable cause affidavit stated that after Oberhansley initially left Blanton’s home, he woke his mother around 3:30 a.m.
His mother told a detective Oberhansley was upset that Blanton had changed the locks and his job and financial situation. She said she sat and spoke with him for several minutes before leaving him alone in his vehicle. Blanton’s coworker called police after she failed to show up for work at 9 a.m., the affidavit said. One coworker tried to call Blanton’s cellphone, but a man claiming to be her brother answered. 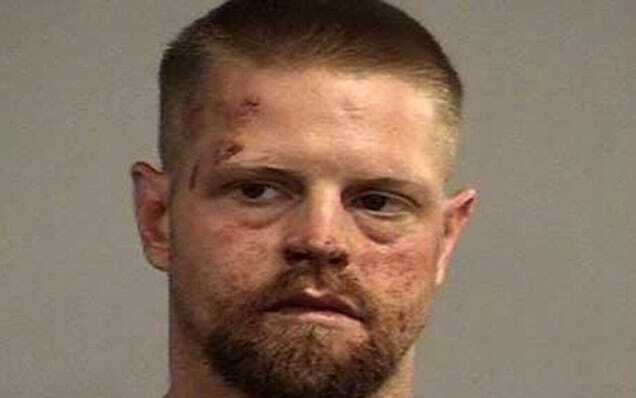 The coworker told police she did not believe the man was really Blanton’s brother. According to WBIW, Oberhansley had previously been convicted for the killing of his 17-year-old girlfriend and shooting her mother near Salt Lake City in 1998. He was free on parole after serving a 13-year prison sentence. You need a new writer or proof reader…this article needs editing! You need a new writer or proof reader, this is article needs editing!